Aside from building your course, launching is one of the most important steps you’ll take as a course creator. 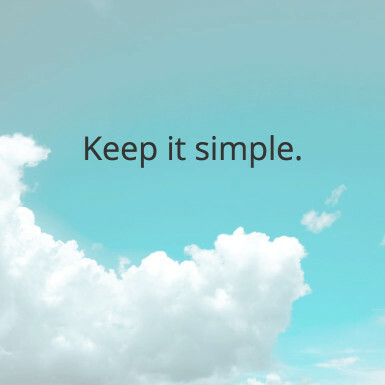 But the only examples you have to follow are the gurus — with their slick sales pages and high-def videos, hundreds of launch partners, and weeks of incessant emails. Something – or many things – about that launch model doesn’t feel right. Yet isn’t that how launches are done? For the big guys, yes. But don’t get carried away. Those strategies don’t work if you’re just getting started. To help you figure out what does and doesn’t work, I sat down with Ruzuku’s co-founder Abe, customer champion Bill, and customer success wizard Felicity to take a look at some of the lessons we’ve learned through years of working with customers who are getting ready to launch their first online course. 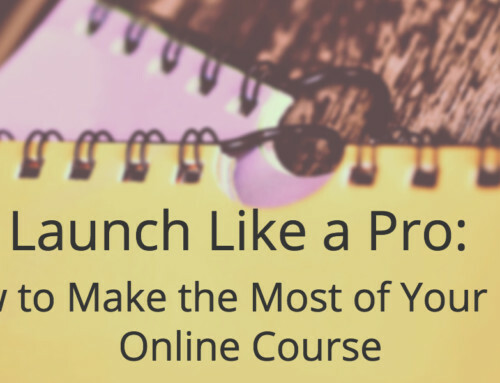 What we discovered will help you navigate your first online course launch with ease. We say it over and over — because audience empathy can be the difference between failure and success for your online courses. So many times, course creators skip the audience research phase because they’re convinced their course is the best thing since sliced bread. Fast forward a few months. Their launch just crashed and burned — and they finally come back to doing the necessary market research in an effort to salvage the pieces. Joanne is a first time course creator who works in the online writing industry. She has editing clients and thinks that she might be able to earn more revenue by teaching her audience how to edit. First, Joanne gets out of her comfort zone and does some research. She scours online writing forums and Facebook groups and has Skype conversations with previous and current clients. She’s surprised. She can’t find many people who are interested in learning how to edit, and none of her clients would pay to take a course on editing. Instead, she finds that people would be willing to pay for a course about the best ways to work with an editor to maximize the value they get out of the partnership. Rather than wasting many months creating a course that people didn’t want, Joanne was able to pivot her idea based on what her audience told her. Felicity has many conversations with Ruzuku instructors who haven’t given much thought to where their audience is online. But if you’ve done your research (above), you know where you found people. Did you get most of your data from online forums? If so, which ones? Was it from a particular Facebook group? Those are the places where you’ll want to promote your course. Instructors who are transitioning from an offline business to teaching online courses can have a harder time with this. They know how to work word-of-mouth marketing but often aren’t as comfortable doing the same thing online. If this describes you, just stick to what you know best. Get in touch with your offline clients and let them know you are offering online courses. Ask them to share the information with anyone who might be interested. And always use the right marketing strategies for your stage of business. Lauren is a yoga teacher who is getting ready to launch her online yoga classes. Through her audience research, she knows that her audience is primarily 35-year-old women who spend most of their time online using Instagram. Because she knows the primary place they congregate online, she can spend the majority of her focus on her Instagram marketing efforts. She won’t worry about other social media outlets because she knows they won’t reach her intended audience. We’ve talked a lot about how to sell without selling here on the blog, and your launch is no exception. Your marketing should be fundamentally educational. But you also have to ask for the sale (more than once). You can find a balance by interweaving a narrative, or story, between your teaching and selling. 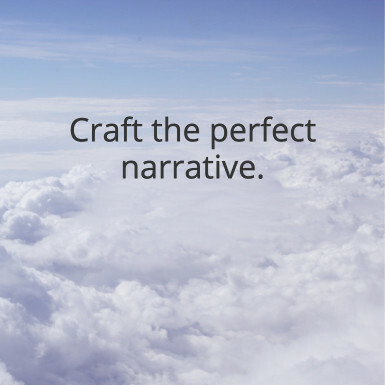 It takes some creativity, but there are great resources available to help you craft the perfect narrative. Check out one of our favorite TED talks by Nancy Duarte. In The Secret Structure of Great Talks, she shares practical lessons on how to craft a powerful call to action that resonates with your audience. Jeanine Blackwell, founder of Create 6-Figure Courses, does a really good job of weaving narrative into her launches. She created a calculator that lets you estimate what your course revenue could be under different circumstances. She stays purposefully light on the teaching aspect, but instead helps her audience see what a successful course business model would look like. She shows you exactly how you can succeed. And her calculator helps to make the promise of her course seem believable. Be super pushy and sell hard. And that’s it. No background story, no teaching, no valuable resources, no asking for signups. Here at Ruzuku we call this the “announcement model” — and we can tell you from experience that it doesn’t work! But you don’t have to be an obnoxious and pushy nuisance who turns off every single potential customer – and probably some friends – in the process. You can find middle ground. 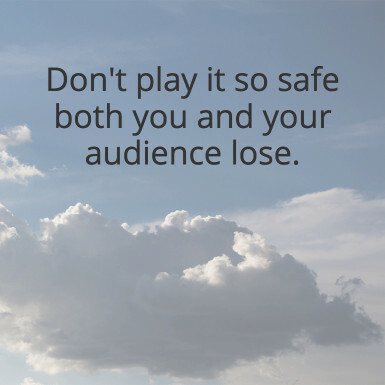 Teach and engage with your audience. Know the problem that you’re solving for them on a deep level, and weave a narrative that shows them what success looks like. Then tell that story over several emails and posts. Roger has a small but engaged audience of around 500 email subscribers who want his personal training and weight loss advice. He writes a series of emails that tell the story of his personal journey. He shows his audience how his course will help them see the results he is promising and includes a compelling call to action at the end. Roger focuses on the people he can most easily reach (his email list) and sends enough information to make the sale. Look at your existing content. Do you have blog posts that you can re-purpose in your launch materials? Do you have testimonial videos from previous clients or your pilot students? What kinds of promotion can you do that doesn’t require creating lots of new resources or gaining new knowledge? Map out a launch calendar. 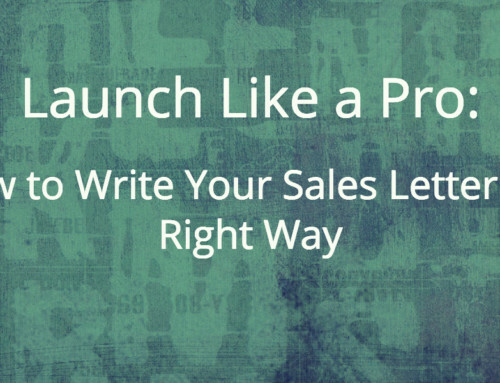 Figure out a step-by-step process that will get your audience from where they are now to signing up for your course at the end of your launch. In Abe’s experience, many people never get this far. They don’t want to send too many emails, so they send none. Or it all looks like too much work, so they never start. But don’t fall into this trap. You could use an email series, a video sales page, a social media campaign, or a teaching webinar. Pick the one big thing that will get you the best, most desired results for your students. Pete is a social media marketing professional. He no longer has enough time to serve everyone who needs his help. He decides to create a 4-week group program to teach his potential clients the basics of social media marketing using Facebook. He decides on a launch date and then creates a launch calendar by working backwards. He decides to use social media posts and email blasts to build anticipation for the upcoming course. Pete writes out a series of simple emails, based on posts he’s already written, that teach a little about Facebook marketing. Then he explains the value of the course and starts asking people to buy as he gets closer to the start date. His emails progress from education and content in the beginning into making an offer in the last few emails. So many new course creators make the fatal mistake of attempting to mimic gurus. We see this especially when it comes to creating urgency to encourage people to buy. As a beginner, you actually can’t recreate and follow the process that the pros are using. For example, if you don’t genuinely have more people beating down your door to work with you than you have time to serve, you can’t tell folks your class will sell out soon — because it won’t, and people will know that. 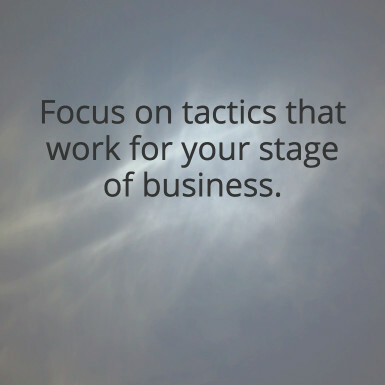 Focus on tactics appropriate for your stage of business. Is your time limited? Can you only work with so many people this month? Do you have a firm deadline once class starts? Those are all excellent (and realistic) reasons to encourage quick action. Realize why the guru chose those methods in that particular situation, and what their audience looks like. You can grow into using their tactics over time. Madeline is a fiber artist who is just starting to teach classes online. For years, students told her that they would love to learn how to do what she does, so she created a course on dying and weaving wool. Instead, she markets her course to the audience she has built on a fiber arts forum where she’s very active, and sells out the 10 spots in her course to people she has interacted with on the forum. This advice might surprise you. But too many beginning instructors attempt to do too many new and uncomfortable things all at once — with damaging results. Abe sees this mistake all the time. Simply launching for the first time will force you way outside your comfort zone, so adding in too many more unfamiliar strategies is setting you up for failure. If you love being in front of the camera and editing video, then launch videos make sense for you. If you’re more comfortable writing, then write! Pick one thing that you know will have big impact. Focus on it and get better at it. Once you’ve mastered that tactic you can move on to something else. Dawn is a guitar teacher who wants to expand her guitar lessons to students online. She reads a blog post about how Facebook ads 10X’d someone’s music business, and now she’s convinced that she needs to try the same thing. She’s never used Facebook advertising, and doesn’t know anything about the process. But she decides to go for it anyway. She spends over $500 on ads, with absolutely no return. She gets a few clicks over to her website, but no one signs up for her course. Rather than being a pot of gold, Facebook ads turn out to be a huge money drain for Dawn. So she switches back to her personal network and email list — and starts studying Facebook advertising for her next launch. There’s an endless amount of information that you can learn about online marketing. 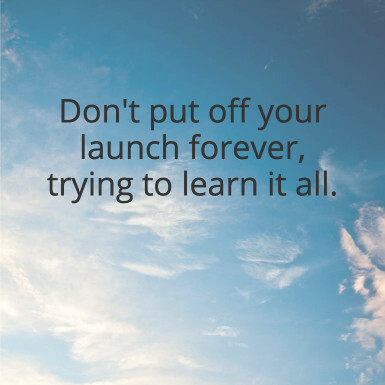 You could put off your launch forever because there’s always something new to learn. Look at where you are now, and where you want to be. Figure out when you want to get there. Lay out a time table of the steps that it will take to get from point A to point B. Identify the knowledge gaps that will prevent you from getting there. This helps you see what you absolutely need to know in order to move forward. You can skip everything that’s not relevant at this particular time, for this particular project. Let go of the strategies you don’t need right now. You can return to them when you’re ready. Patrick is a dog trainer who wants to launch his online course about puppy behavior and training in 2 months to his mid-sized email list. Right now, he doesn’t have any marketing in place. There are many ways he could go. He decides that the best way to reach his audience is to write a series of emails. Even though he’s been writing to his list for a couple of years now, he’s never sold anything to them — and he doesn’t feel comfortable writing marketing email. Patrick realizes that he needs to learn how to write good marketing copy, so he can either hire someone to teach him or he can learn on his own. He spends a couple of weeks learning how to write riveting email copy, and then successfully uses that new skill to write his email series. Stretch yourself. Set a goal to learn a new skill every time you launch. But wait. Didn’t we just tell you to not try too many new things? It’s good to pick your uncomfortableness, as Felicity says. But if your course launch feels completely safe, that’s a red flag. 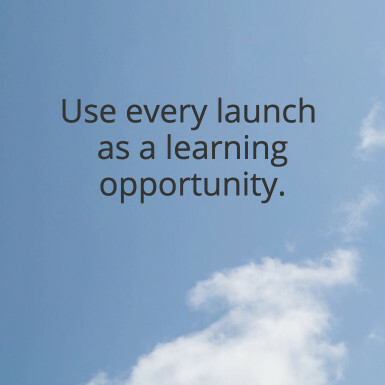 Use each launch as a learning opportunity. 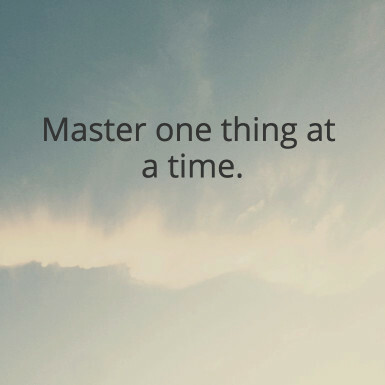 Focus on one new activity that will have the biggest impact (see the previous point) and learn what’s most important to you right now. Many instructors want predictable, guaranteed results — for example, 25 students and $5000 from their first launch. But instead of focusing on a monetary outcome, what if your biggest goals were learning, iteration, and growth? It takes more effort in the short term, but in the long term you’ll start to see exponential growth, with each launch doing better than the last. Rachel is a business coach who is launching a group coaching program this fall. She’s gotten really good at writing marketing emails, but she’s not super comfortable with video. She knows from experience that her audience loves – and shows a high level of engagement with – video content on Facebook. So she dives into learning how to create great videos to incorporate into her launch strategy. When she finishes the launch and asks her new coaching group why they decided to join, most of them point to the great videos that she created. If Rachel had stuck to writing marketing emails, she would have missed out on gaining these new coaching clients. The first time you launch a new course, there will always be some guess-work — but try to be realistic in terms of your likely outcome. Abe stresses that if your 1-on-1 client business is floundering, courses won’t save you. If your core business isn’t working, fix it or pivot to something that works better instead of grasping at courses as a lifesaver. Never launch in desperation. Be prepared to take one small step forward at a time. Bill sees many new course creators start out with massively high hopes, that are crushed when they fail. Most people give up right then and there. 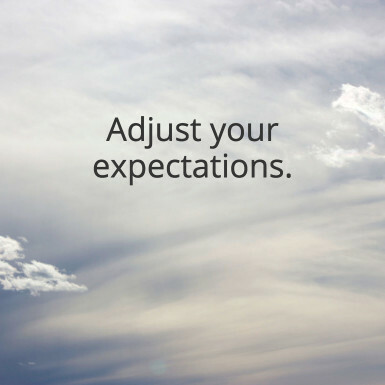 It’s far more powerful to adjust your expectations. Know that you’re most likely not going to be an overnight success. Expect it to take time and effort. Barbara runs a successful offline business as a photographer and she wants to launch an online course teaching people how to take better action photos of their kids. If Barbara has never done a pilot and she gets 10 people in her free pilot with raving reviews, that’s a success. Then at her next launch (her first), if she gets 10 people enrolled who each pay her $47, that’s also a success. She learned how to grow from a free course to a paid course. But if Barbara comes into her launch expecting that her very first course will sell 100 spots at $497, that’s not realistic. It’s especially not going to work if she’s counting on her launch to keep her from going broke. 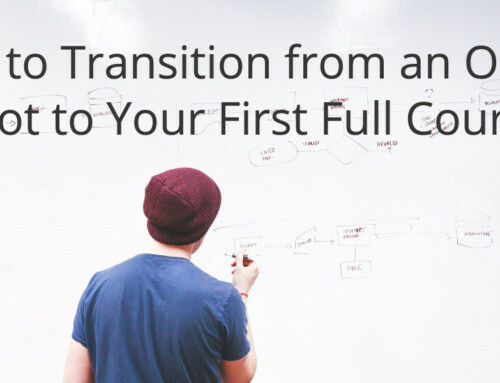 Your course launch should be many things — exciting, terrifying, and a great learning experience. What it shouldn’t be is an experience you never want to repeat. It’s natural to be afraid of making mistakes, but you won’t learn anything if you don’t take chances. And now that you know some of the hidden pitfalls to avoid as you attempt your first launch, you’re ready to take some chances of your own. You know what to do. And even more important, now you also know what not to do! You can learn from the thousands of online instructors who’ve gone before you. 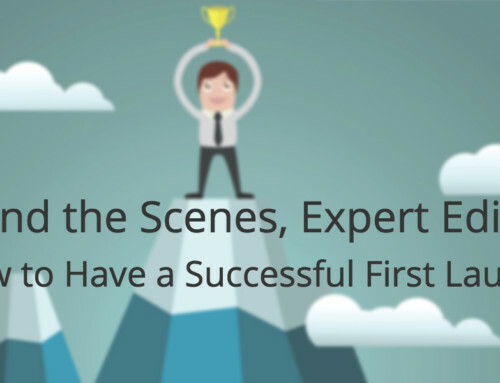 Take these 10 lessons, and get your first launch up and running. 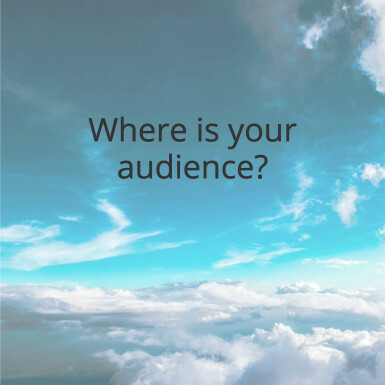 Your audience is counting on you! Have you launched a course yet? 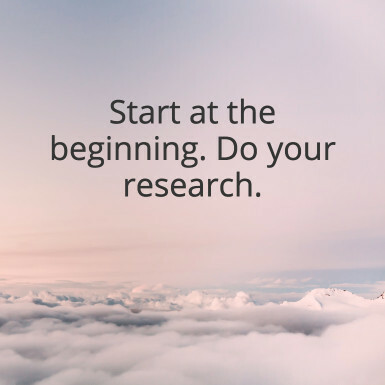 If so, do you have any lessons you’ve learned from launching? If so, share them below in the comments!